There is a thickness of the paper, so it can absorb oil and moisture very well, and its size is just right. The hardness is also good, so it is useful to check the degree of oil contamination as it is white. It is a repeat product that helps because the price is low and consumables cost can be reduced. This review is about item#35120425. Good for sucking in oil. If you keep rubbing, paper dust will come out, so if you pay attention to it, cospa is good. It is not easy to use because there are not too much pride and strength to some extent. I do not smell, I think it is equivalent to Kim Towel. Since the bundle is one piece with a plastic bag, it is good to have a break in the bag so that it is easy to use. This review is about item#5876763. Safety education on lockout Used for maintenance of practical teaching materials. There is no comment or improvement point because it is very ordinary disposable paper waste. 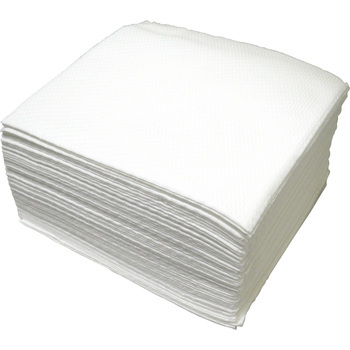 It is quite durable because it is 4 piles, and its size is very easy to use. Although some scratches appear when used with parts with irregularities, it can be used for workability without problems. There are places where it is difficult to use because paper waste is a little pulled out by washing the water at the time of car washing, but it is active in oil wiping and other work. Since the cost is cheap, we continue to repeat. Since the length is also well and strong, if you use the front and back, things will suffice enough for one and many are saved without waste.